“Fence is an epic of fragments that is at once beautiful and beautifully strange. In his exploration of the vast, frozen Svalbard islands, poet and geographer Tim Cresswell has created a kind of travel poetry whose taut, minimalist lyric synthesises subjects as diverse as history, politics and Arctic ecology. Echoing the mournful atmospherics of the great Anglo-Saxon elegies, this book-length poem is a powerful meditation on places that are slipping away, where ‘compass gone haywire/so north’. Space, Place and the Triumph of the Humanities. Over this academic year the annual theme of the Humanities Center fellowship program has been Space and Place. As a geographer displaced to History and International Affairs here at Northeastern it has been a delight to be involved in an interdisciplinary discussion of these themes that I believe are so important to life in the 21st Century. Our conversations have criss-crossed the humanities and social sciences in ways which point towards the richness of an emerging inter-disciplinary field known as GeoHumanities. The rise of GeoHumanities has been prompted by recent emerging techniques in Digital Humanities and various forms of Geo coding and mapping. It was these developments that led the eminent Professor of English, Stanley Fish to declare, possibly a little prematurely, “The Triumph of the Humanities” in a New York Times op ed piece back in 2011. He was responding to the publication of the edited collection GeoHumanities: Art, History, Text at the Edge of Place – a volume that arose from discussions within the Association of American Geographers. Fish was excited about a number of technical and theoretical developments that allowed time and space to be represented as constantly in co-constitutive motion. He called this new project a synthesis of Geographic Information Science (GIS) and history that brings to the fore a geographic imagination and poetics that asserts the active and dynamic role of space and place in most, if not all, important questions. It is worth quoting at length his confident assertions. “What this all suggests is that while we have been anguishing over the fate of the humanities, the humanities have been busily moving into, and even colonizing, the fields that were supposedly displacing them. In the ‘70s and the ‘80s the humanities exported theory to the social sciences and (with less influence) to the sciences; many disciplines saw a pitched battle between the new watchwords — perspective, contingency, dispersion, multi-vocality, intertextuality — and the traditional techniques of dispassionate observation, the collection of evidence, the drawing of warranted conclusions and the establishing of solid fact. Now the dust has settled and the invaded disciplines have incorporated much of what they resisted. Propositions that once seemed outlandish — all knowledge is mediated, even our certainties are socially constructed — are now routinely asserted in precincts where they were once feared as the harbingers of chaos and corrosive relativism. One could say then that the humanities are the victors in the theory wars; nearly everyone now dances to their tune. But this conceptual triumph has not brought with it a proportionate share of resources or institutional support. Perhaps administrators still think of the humanities as the province of precious insights that offer little to those who are charged with the task of making sense of the world. Volumes like “GeoHumanities” tell a different story, and it is one that cannot be rehearsed too often”. It was certainly heartwarming to read Professor Fish’s words. But it was also a little strange. To someone such as myself it felt as though he has just discovered the wheel. It is ironic that a term such as GeoHumanities should arise as a result of the technical ability to process and display data in new ways. I prefer to see the term as an affirmation of several thousand years of humanistic thought – a history that I will now rehearse in two minutes or so. A concern with space and place was at the center of classical thought. Aristotle famously argued that place takes precendence over all things because everything that exists must be somewhere “because what is not is nowhere – where for instance is a goat-stag or a sphinx?” Greek philosophers and historians were also geographers. 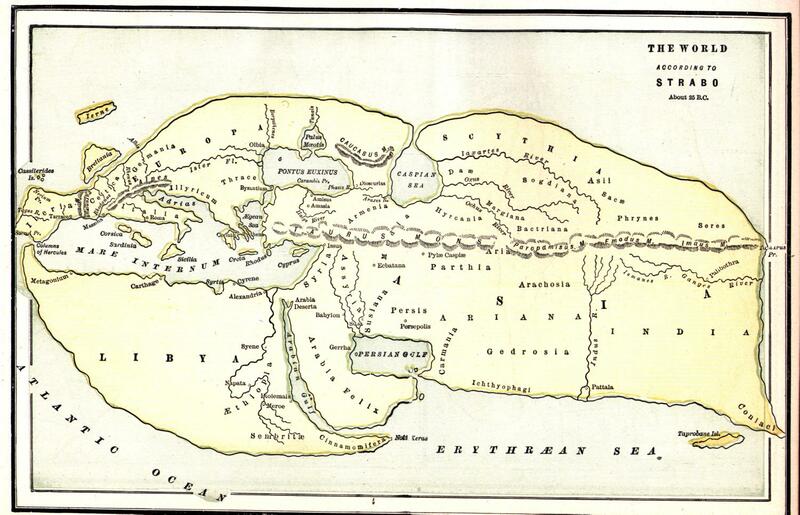 Herodotus, claimed as the father of both anthropology and history, spent much of his time trying to find the source of the Nile and might reasonably be claimed as the father of geography too. Meanwhile, the librarian of Alexandria, Eratosthenes, was busy measuring the earth and developing the system we now know as latitude and longitude and which locates your every thought and move through your cell phone. He is known as a mathematician, geographer, poet, astronomer and music theorist. The first person to call himself a geographer was Strabo of Amasia – who was a philosopher and historian as well as a geographer. The teaching of Aristotle on the fundamental importance of place was revived in Europe by Albertus Magnus, the German Dominican scholar who tutored Thomas Aquinas. His De Natura Locorum (the Nature of Places) combined cosmology with natural science to insist on the importance of location to everything. He was a philosopher, theologian and Catholic saint. And then there’s Immanuel Kant – most definitely a philosopher who spent forty years giving lectures on geography. This story could go on and includes the great Muslim scholar Ibn Khaldun claimed as one of the fathers of history, sociology and economics as well as the unnamed Chinese cartographers of the Han Dynasty. And many more. I tell this story to make three points. One is that inquiry in the humanities is rooted in a time before disciplines when key thinkers were unhampered by the disciplinary boundaries we live with today. All of those I have mentioned today are claimed my multiple disciplines. Second – in each case some notions of space and place were central to their intellectual endeavours. Spatial thinking was not the invention of either the spatial turn in the humanities or the advent of geocoding and GIS. Third, in many of these cases, forms of representation were key to their endeavours. What GIS is to us now, the invention of longitude and latitude, papyrus or cartographic pens were to them. Fourth, this interest in space and place constantly matched something we might today refer to as humanistic – an interest in the particularities of place – with something we might now call scientific – the measurements and exactitudes of cartographic representations of space. During the Renaissance in northern Italy the arts of cartography and landscape painting were reborn hand in hand with the architecture of Alberti and the science of Leonardo. 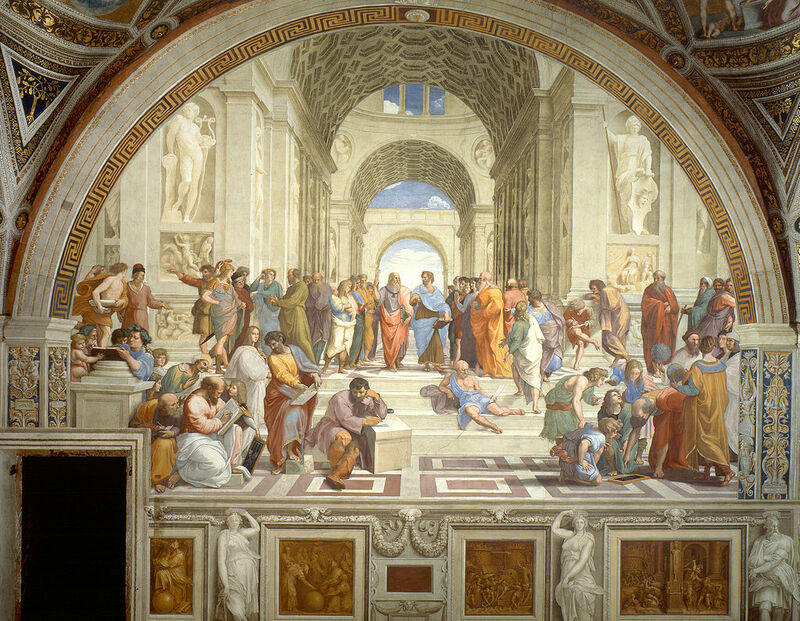 Humanism – as a world view reborn in the Renaissance – was a world view that included both the arts and the sciences within it. These are entangled in Raphael’s painting of the School at Athens from 1509 which includes Strabo and Ptolomy holding models of the world in the bottom right corner. Which is all to say that it would be too easy to take a reductive view of the GeoHumanities as emerging fully formed in the 21st Century as a result of the sudden popularity of the prefix ‘Geo’ which is taken to mean something like ‘locatable on the earth’s surface’. Everything is geocoded and geolocatable. Things can be geotagged. “Geo” of course, comes from the Greek for ‘earth’ or ‘ground’ and it is this, much older Geo that I would like to see included in the term GeoHumanities. The twin dangers facing this new endeavor are first that it is too easily reduced to a technical exercise in using GIS for typically humanistic endeavours without any of the academic context I have pointed too in this talk and, second, that it ignores all these developments and becomes a version of the sub-discipline I know and love called ‘cultural geography’ – just given a different name. I hope that, like this year’s fellowship here at Northeastern, the GeoHumanities is genuinely interdisciplinary or even postdisciplinary. I hope that it does take the remarkable abilities of the Digital Humanities seriously but does not mistake them for something entirely new on the face of the earth. Finally I hope that it does, indeed, help further what Stanley Fish calls ‘the triumph of the humanities’. I do not, however, believe that this triumph is a product of the theory wars of the 1980s (though I have no doubt that the last thirty years of insisting on the importance of space and place for social and cultural theory is massively important). I think the rise of the GeoHumanities is more the current instantiation of humanistic thought that has had spatial thinking at its heart that arose some 2000 years earlier. It is with this in mind that I have taken on the editorship of the new AAG journal, GeoHumanities along with my colleague Deborah Dixon in Glasgow. Despite its home in an august scholarly association of geographers its editorial board will be genuinely interdisciplinary including both scholars and creative practitioners. It is the next phase in the process that the GeoHumanities volume Stanley Fish referred to was a key part of. I hope it can be as lively and inspiring as the conversations the space and place fellows have engaged in over the past year. 1) Fence My second poetry book, Fence, is being published by Penned in the Margins in October. I am at the final editing stage. I have been fortunate to read this in its entirety three times (Guelph, Concordia, Queens) and am going to read it again at Cornell later this month. I will also do a selection of it at the Nordic Geography conference in Estonia in June. The book is a sequence that takes the form of a polyvocal montage of my own journey to Svalbard (with Nowhereisland) along with fragmented versions of parts of the travel accounts of English explorer, Robert Fothery from 1613 and 1614 and Leonie D’Aunet – the first woman to visit Svalbard in 1838.The sequence uses a number of different vocabularies to explore the relationship between language, a particular place, the flows in and out of it and a fence. The fence stands for both the separations of territories and the flows that make up place. Along the way we encounter whaling, migrant species, a disco, geology and economic imperialism. It is a form of place-writing that enacts and enlivens my more academic considerations of place and mobility. 2) GeoHumanities Fence is also a example of GeoHumanities in action. While GeoHumanities is a recent term it represents an exciting coming together of the humanities side of geography (the longest standing version of geography), the spatial turn across the humanities and social sciences, recent developments in geocoded software, GIS, forms of visualisation of space, place and mobility, and new ways of engaging with the earth in the creative arts and practices. I have been appointed as one of the first Managing Editors of the new Taylor and Francis journal – GeoHumanities (along with Deborah Dixon at the University of Glasgow). The journal is an initiative of the Association of American Geographers and is the culmination of years of meetings and special sessions at AAG conferences. Despite its disciplinary home, GeoHumanities is a genuinely interdisciplinary journal and will include contributions from across the humanities as well as creative contributions from creative practitioners. We are putting together an international and interdisciplinary editorial board which includes creative writers and artists. The journal will be launched at the AAG conference in Chicago in April and the first issue will appear in October. 3) All Possible Worlds In the summer of 2007, on holiday with my family, we got to the end of reading Harry Potter and the Deathly Hallows. I had been reading the whole series aloud to Owen and Sam and now Maddy too (she wasn’t around when all this started). The whole reading aloud as a family thing had centred on this series. Anyway – suddenly there was nothing to read so I started writing my own story for the same age group. I wrote 1000 words a day and read it aloud in the evening. Since then I have continued to write it and read it aloud (even as Owen became 21) on family holidays. This last year the momentum has grown and I am almost done. About three chapters left and I know everything that is going to happen. I am excited about the story and my kids all apparently love it. At the centre of it is lovely London (actually several Londons) and the magic of maps. It was partly inspired by the book Sophie’s World which introduced children to philosophy and partly by the Inkheart series which I also read aloud and which featured the danger of writing stories that become real. So – this is another exercise in representing geographical knowledge and its relationship to power. I just need an agent! 4) Living in the Mobility Transition 2014 saw the start of a large comparative project on the future of mobilities. More specifically the project looks at the possible transitions to low(er) carbon mobilities in a range of sites around the world including Canada, the UK, Brazil, Chile, Ecuador, New Zealand, South Korea, the Netherlands, Russia, Singapore, South Africa and Turkey. This has meant engaging with the literature on socio-technical transitions as well as the policy arena – both of which are new to me. Central to the emerging project is the way imaginations about mobility and the practice of mobility need to be part of any transition to a post-peak oil and lower carbon world. This is something a geographical imagination can bring to this crucial field of enquiry. 5) Topo-poetics I recently finished and defended my doctorate in Creative Writing at Royal Holloway that involved 50 pages of poems as well as 40,000 words of theory. The theory section revolved around the idea of poems as space and places (as well as poems about spaces and places). I developed ideas around the topos of the poem and then explored this in four poets – Elizabeth Bishop, John Burnside, Don McKay and Jorie Graham. I am going to add a few more poets to this list – probably Lorine Niedecker and Roy Fisher and submit it as a book. These are all linked by critical geosophy. They all engage with the way geography informs imaginations and forms of representation in worlds that are shot through with power. The following is the text for an introduction I made at a public event of this year’s Space and Place theme fellows at the Humanities Center at Northeastern. More thoughts on the GeoHumanities are forthcoming. This year’s fellows are exploring the theme of space and place in an interdisciplinary context. To me this represents an exciting opportunity to start a conversation across disciplines at an opportune moment. Across the humanities and social sciences we are experiencing a flourishing of work that takes spatiality seriously. Space and place have often been seen as either a setting for other, more important, processes in culture and society to take place or, alternatively, as the outcome of these processes – a kind of end product. A series of developments both within disciplines and across disciplines have changed this in fundamental ways. First of all we have seen what is called the spatial turn across the humanities and social scientists. This refers to a general recognition that social and cultural life do not happen on the head of a pin but are thoroughly spatial. The spatial turn made its presence felt, for instance, in the study of literature, where space and place had been too often relegated to mere setting – the least active or interesting component in the assemblage of literary texts. Pioneering work by scholars working across disciplines but rooted in literature –scholars such as Raymond Williams and Edward Said – placed the geography of and in literature at the center of our understanding of the relationship between text and context in ways which enlivened our reading of the canon and started to introduce writing from the previously excluded margins. In History we saw the emergence of spatial history with the magisterial work of Richard White and, particularly, Paul Carter’s Road to Botany Bay – subtitled “an essay in spatial history”. Feminist scholars such as Elizabeth Grosz and Iris Marion Young wove space and place into their accounts of the construction of masculine worlds and their radical alternatives. The spatial turn was given a significant boost when Michel Foucault, whose work of prisons, the asylum and the clinic were all quite radically spatial in nature, became an evangelist for the importance of space in an essay published in 1984. The great obsession of the nineteenth century was, as we know, history: with its themes of development and of suspension, of crisis, and cycle, themes of the ever-accumulating past, with its great preponderance of dead men and the menacing glaciation of the world. […] The present epoch will perhaps be above all the epoch of space. We are in the epoch of simultaneity: we are in the epoch of juxtaposition, the epoch of the near and far, of the side-by-side, of the dispersed. We are at a moment, I believe, when our experience of the world is less that of a long life developing through time than that of a network that connects points and intersects with its own skein. Soon space was everywhere. Sociologists and anthropologists, aware of course, of their inheritance of the works of the Chicago School of Sociology and the ethnomethodology of Erving Goffman on the one hand, and Levi-Strauss on the other, experienced a renewed interest in the way space works its ways into the crevices of social and cultural processes as an active agent in the production, maintenance and transformation of everyday life. This was given an added boost by the eager take up of the problem of space in the nascent cultural studies and through the translation of Henri Lefebvre’s foundational book, The Production of Space. Even the more scientific ends of social science, which had long been set on arriving at law-like universal generalizations for human behavior, began to recognize that the space in which social things happen is neither the mythical isotropic plain of many models nor the head of a pin danced on by angels. Forms of spatial modeling become more sophisticated, starting with cluster analysis and moving to a general recognition of the importance of place, mobility and spatial variation. Space and place have made their presences felt across all the central research themes of this University. In Health research there has been increasing interest in the role of space and environment in realms ranging from the currently vogue field of epigenetics in which places impact directly on the very genetic make up of our bodies, to the role of place and landscape in the treatment of illness – in so-called therapeutic landscapes. In the arena of Security studies we have seen everything from the problematic impact of the so-called “broken-windows” theory of criminal and deviant behavior to the development of pattern of life analysis that allows drone operators to assess the likely guilt of people at a distance by recording their movements in space over time. Much of this I find deeply troubling but it is also spatial theorists, inspired by Foucault of course, who are revealing the way space is being used by the security state to impinge on any remaining remnants of truly public space we have left. Either way, space and place are at the center of the debates. And Sustainability is possibly the easiest of the three themes to make a spatial case for. The recent recognition of the Anthropocene as a geological era in which humans are the main actors has led to a lively debate about the kinds of places we want to live in, and that we want future generations to live in. Sustainability is about the key issue of how we dwell in the world – it is a question of place. While the spatial turn is now thirty years old a new ingredient has recently been added. The Digital Humanities combine a level of technical expertise in the handling of large, even Big, datasets with sophisticated spatial analysis and representation through Geographic Information Systems – or GIS. The recent embrace of GIS and other digital tools by the traditionally technology averse disciplines of English and History is connected to the theoretical recognition of the importance of spatiality. In addition, the sudden explosion in geocoded data, thanks to the mobile devices we all carry in our pockets, is allowing new realms of social scientific analysis right down to the level of the individual to open up. Some of this is troubling and linked to issues of surveillance and corporatization of everyday life, but there are also new creative possibilities for using information that always comes with longitude and latitude. Forms of counter-mapping and critical spatial science are possible. Creative artists have been among the first to become aware of the potential of locative media and geocoded data in raising questions about the role that space and place play in our everyday lives. So this combination of influences across the disciplines, linking the humanities, the social sciences and the creative arts have led to what has recently been called then GeoHumanities – a new interdisciplinary endeavor with space and place at its heart that links decades of critical thought following the spatial turn to new developments in our digital capabilities. It is in this context that this year’s Fellows scheme in the Humanities Center has been planned. Raymond Williams, The Country and the City (London: Hogarth, 1985, 1973); Edward W. Said, Orientalism, 1st Vintage Books ed. (New York: Vintage Books, 1979). See also John Barrell, The Dark Side of the Landscape : The Rural Poor in English Paintings, 1730-1840 (Cambridge: Cambridge University Press, 1980); The Idea of Landscape and the Sense of Place 1730-1840 : An Approach to the Poetry of John Clare (Cambridge [Eng. ]: University Press, 1972). S. S. Friedman, “Periodizing Modernism: Postcolonial Modernities and the Space/Time Borders of Modernist Studies,” Modernism-Modernity 13, no. 3 (2006); Franco Moretti, Graphs, Maps, Trees : Abstract Models for a Literary History (London ; New York: Verso, 2005). Richard White, Railroaded : The Transcontinentals and the Making of Modern America, 1st ed. ed. (New York ; London: W.W. Norton, 2011); Paul Carter, The Road to Botany Bay : An Essay in Spatial History (London: Faber, 1987). See also William Cronon, Nature’s Metropolis: Chicago and the Great West (New York: Norton, 1991); James Scott, Seeing Like a State: How Certain Schemes to Improve the Human Condition Have Failed (New Haven, CT.: Yale University Press, 1998). Elizabeth Grosz, Architecture from the Outside: Essays on Virtual and Real Space (Cambridge, MA. : MIT Press, 2001); Iris Marion Young, Justice and the Politics of Difference (Princeton, N.J.: Princeton University Press, 1990). Michel Foucault, “Of Other Spaces,” Diacritics 16, no. 1 (1986). See also Discipline and Punish : The Birth of the Prison (New York: Vintage Books, 1979); The Birth of the Clinic; an Archaeology of Medical Perception, 1st American ed., World of Man (New York,: Pantheon Books, 1973); Madness and Civilization : A History of Insanity in the Age of Reason (New York: Vintage, 1988, 1965). Erving Goffman, The Presentation of Self in Everyday Life, University of Edinburgh. Social Sciences Research Centre. Monograph No. 2 (Edinburgh,: University of Edinburgh Social Sciences Research Centre, 1956); Robert Ezra Park et al., The City, University of Chicago Studies in Urban Sociology (Chicago, Ill.,: The University of Chicago Press, 1925); Claude Levi-Strauss, Tristes Tropiques : Anthropological Study of Primitive Societies in Brazil ([S.l. ]: Atheneum, 1963). Lawrence Grossberg, “Cultural Studies and/in New Worlds,” Critical Studies in Mass Communication 10(1993); Henri Lefebvre, The Production of Space (Oxford, UK ; Cambridge: Blackwell, 1991). A. S. Fotheringham and C. Brunsdon, “Local Forms of Spatial Analysis,” Geographical Analysis 31, no. 4 (1999); T. Schwanen, M. P. Kwan, and F. Ren, “How Fixed Is Fixed? Gendered Rigidity of Space-Time Constraints and Geographies of Everyday Activities,” Geoforum 39, no. 6 (2008). Wilbert M. Gesler, Healing Places (Lanham, Md. : Rowman & Littlefield, 2003); Nessa Carey, The Epigenetics Revolution : How Modern Biology Is Rewriting Our Understanding of Genetics, Disease, and Inheritance (New York: Columbia University Press, 2012). Oscar Newman, Defensible Space; Crime Prevention through Urban Design (New York,: Macmillan, 1972); Stephen Graham, Cities under Siege : The New Military Urbanism (London: Verso, 2010); Anna Minton, Ground Control : Fear and Happiness in the Twenty-First-Century City (London: Penguin, 2009). Timothy Morton, Hyperobjects : Philosophy and Ecology after the End of the World (Minneapolis, MN. : University of Minnesota Press, 2013); Carl A. Maida, Sustainability and Communities of Place (New York, N.Y. ; Oxford: Berghahn Books Ltd, 2007). Anne Kelly Knowles, Geographies of the Holocaust, The Spatial Humanities (Bloomington IN. : Indiana University Press, 2014), text; Anne Kelly Knowles and Amy Hillier, Placing History : How Maps, Spatial Data, and Gis Are Changing Historical Scholarship, 1st ed. (Redlands, Calif.: ESRI Press, 2008); D. A. Smith, R. Cordell, and E. M. Dillon, “Infectious Texts: Modeling Text Reuse in Nineteenth-Century Newspapers,” 2013 Ieee International Conference on Big Data (2013). 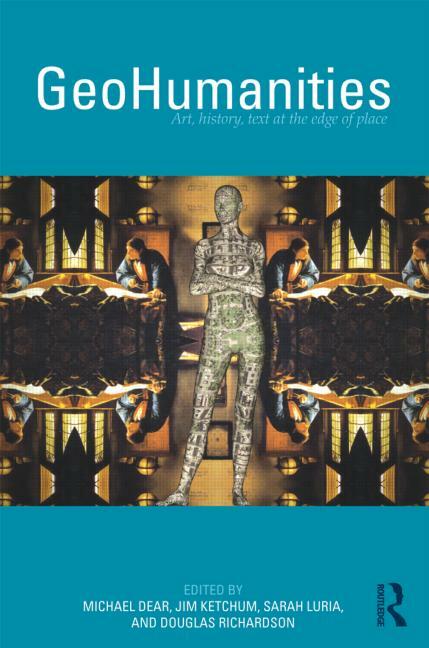 M. J. Dear, Geohumanities : Art, History and Text at the Edge of Place (London: Routledge, 2011). The quick death of slow scholarship? We need space for lingering on things. For contemplation. They seem like indulgence but are really necessities. Travels into Print. 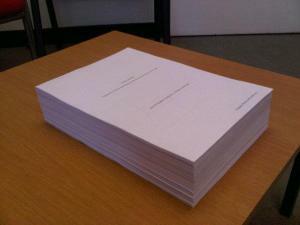 First manuscript draft (February, 2013).